a seminar or other presentation that takes place on the Internet, allowing participants in different locations to see and hear the presenter, ask questions, and sometimes answer polls. 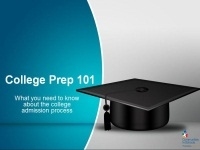 This presentation will help you simplify and demystify the college planning process, provide answers to commonly asked questions, and empower students and parents to get a head start on college planning and preparation. The transition from high school to college is never easy, and students should know what to expect. In college, you will be introduced to many new ideas, opportunities, and endeavors. However, there are certain tasks that you must be familiar with before you go to college. Make sure you do the following before you leave for school. Upon successful completion, students will be able to create an effective cover letter outlining their interest in applying for a position/college/internship/scholarship utilizing proper business letter format. Before beginning to write your résumé, it is a good idea to understand what you are writing, why you are writing it, and what is expected as you write it. This basic introduction will aid both new résumé writers and those who may have forgotten certain details about résumé writing. Take the mystery out of searching the web with web search basics: learn basic web search terms, walk through beginners' web search tutorials and how-to's, and get the hang of basic web search techniques. The job interview is the most important aspect of your job search. Often it is the person with the best interviewing skills, not necessarily the best qualifications, who gets the job offer. This presentation will introduce the viewer to the basic concepts necessary to impress any interviewer, and secure the job you’re after. The workplace can be a minefield for any young professional. It’s your first day at work and you have the jitters — will you fit into your new workplace, adapt to a different environment and get along with your colleagues? One of the best ways to start your career on the right foot is to cultivate good work habits. Learn the survival skills you need with our workplace guide. This webinar is designed for high school students and recent graduates seeking their first full-time jobs, but the advice, tips, and resources in this tutorial can really be used by any job-seeker who is looking for some extra help in landing a new job. Very few high school students are certain about what job or career they will begin. 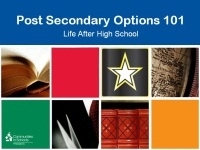 Whether your plans include college, the military, vocational training, or heading straight for the workforce, here are some practical tips to prepare yourself for this decision. Learn how to connect to the rest of the world using popular online social media platforms. In this webinar, we’ll focus on defining different types of social media including Facebook and Twitter. Common “lingo,” shortcuts and practices will be covered as well as a discussion about privacy settings and the sharing of photos, videos and links.